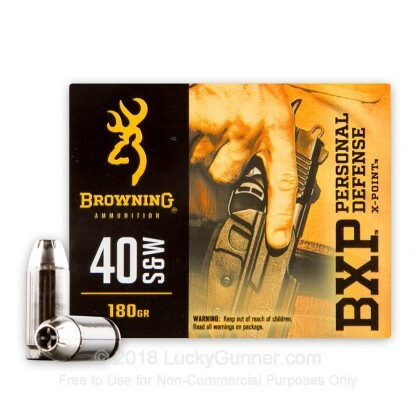 Browning BXP ammunition is designed to be superior self defense ammo. 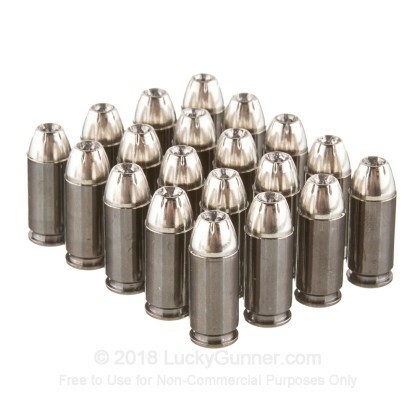 These 40 S&W rounds are loaded into black nickel-plated brass cases that are boxer primed and re-loadable. 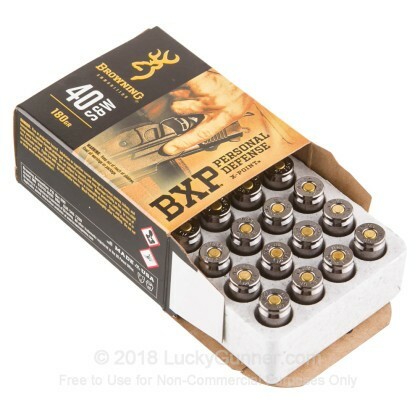 Each projectile in this box of 20 is a 180 grain Jacketed Hollow Point that leaves the barrel at 1,020 feet per second and features Browning's new X-Point. 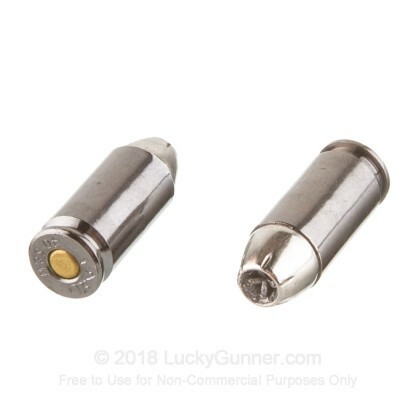 The X-Point is designed to protect the hollow point as it passes through intermediate barriers and also prevent "plugging." These projectiles rapidly transfer energy upon impact while being tough and reliable. Browning has been producing high quality firearms since 1878. Due to a partnership with Winchester, Browning ammunition hit the market in early 2016. Winchester is responsible for the development and manufacturing of Browning ammunition in their Alton, Illinois facility. Browning's lineup of high quality ammunition includes offerings for hunting, self-defense and target practice in rimfire, centerfire and shotshell varieties. 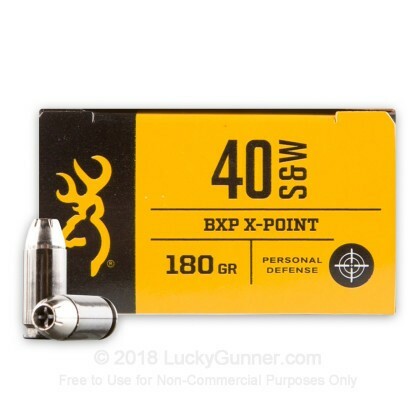 Pick up a couple boxes of this high quality 40 S&W self-defense ammunition today! We don't have any reviews yet for this particular .40 S&W (Smith & Wesson) ammo from Browning. 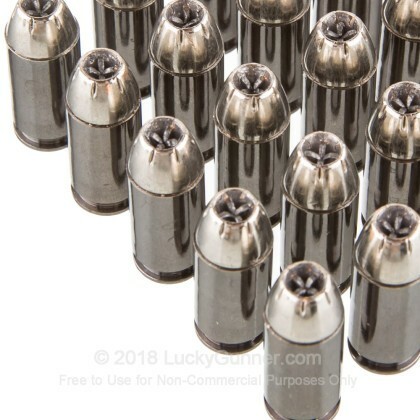 If you'd like to be the first to review this particular .40 S&W (Smith & Wesson) ammo from Browning, fill out the form below.